The weekly UK game sales charts are in again and we continue to see a flurry of PS4/Xbox One blockbusters hogging the top slots. Sniper Elite 3, Watch Dogs and EA Sports UFC are enjoying their time at the top this week. Tomodachi Life is showing great resilience and is in 15th place this week, a leap from 17th place last week. It would appear that word of mouth is getting out there in the UK about this quirky and fun Mii life-sim still. Mario Kart 8 is now in 10th position, which is a slight dip from last week's 7th place. Mario Kart is going down though but it is great that it lasted a month. No idea how much MK8 sold this week as Chart Track only give the percentage drops for games in the all format top 10 and it's down in 13th on that chart. I'm happy with Tomodachi Life still holding for a while to come. I'm looking forward to my social experiment with every one of my friends as Miis. As for MK8, I'm not exactly surprised by it falling quite a bit. The Wii U still has wobbly legs in the UK, and I expect it to rise in the charts every time a new game comes out for it. Expect it back in the Top 10 when SSB or Zelda lands. 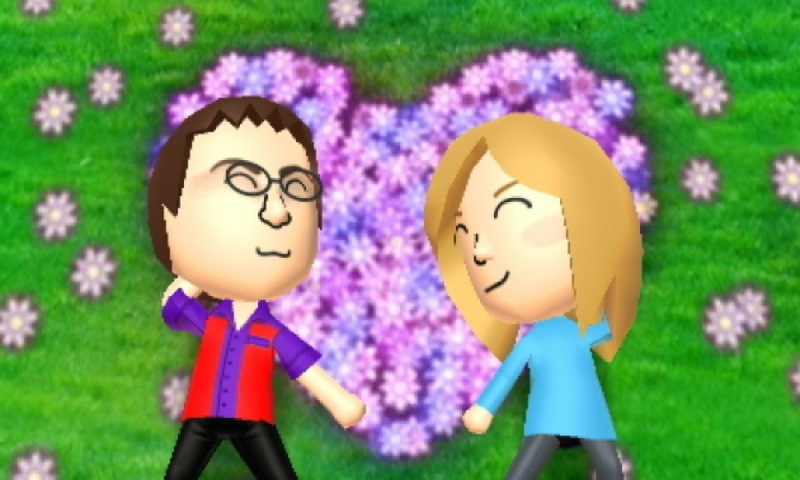 I'm pretty sure the Mii QR codes of NLife staff they handed last week has something to do about it. Which reminds me, yesterday a friend of mine married to my sister, really disturbing, but hilarious. That's Tomodachi Life in a nutshell I guess. I NEED this game. And so does my sister. If only that sale of buy one get the second half off from Game was offered here in the US. Maybe it'll hit the top 10 eventually... probably not but I'd love to see it happen. I'd love to see a Wii U version of Tomodachi Life, even if it's an Animal Crossing Plaza style app without any real interactivity (I just want to see my Miis interact with one another on the big screen). Ordered mine on dell.com....should get here in about 10 more days. Sigh..
What is this game? Maybe I will get this? I was in a shop yesterday here in Australia and they were sold out of it, you could only preorder for the next shipment. So word is definitely getting out there!